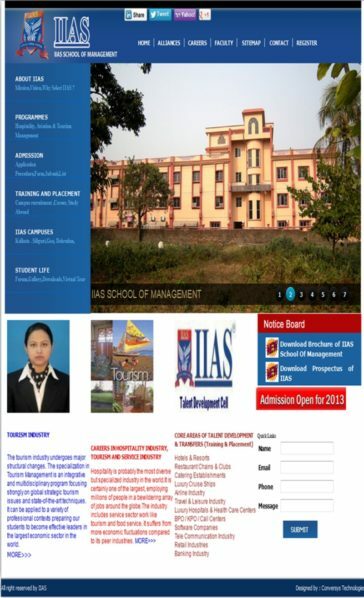 It’s a private business school with campuses at Kolkata, Siliguri, Goa and Dehradun. The contents provide us with a thorough knowledge of the institution. The picture of the institution posted in the site makes the site more attractive and much more user friendly to its users. It’s a Joomla based development.